Do you need more office or industrial space but are unwilling to move premises? A mezzanine floor could be for you. Stormor Systems are one of the leading mezzanine floor suppliers in the UK. Our service encompasses design and installation, taking care of all building control applications and requirements. Stormor Systems have developed several storage schemes that can be modified to suit your exact requirements. From pallet racking and longspan shelves to workstations, our storage solutions can be assembled on site for your convenience. Stormor Systems can provide partitioning and suspended ceilings to provide privacy, security, soundproofing and fireproofing either above or below mezzanine floors. Does your business rely on optimum hygiene and cleanliness? Stormor Systems have experience in the design and construction of cleanrooms to varying standards, from concept to completion. Stormor Systems offer versatile, cost-effective storage and partitioning solutions for all industries. We have over 30 years' experience in transforming an empty space into the tailor-made office or warehouse you need. Industrial Shelving, General Storage, Increased Office Space, Machinery Service Areas and Public Display Areas. Used as raised storage areas within retail units and warehouses creates increased usable space for, creating larger areas. A mezzanine floor can be installed quickly and easily, with minimal disruption to your working environment. With a wide variety, we can achieve any type of finish you desire from functional storage to prestigious offices. Customise Your Own Longspan Shelving: Frames available in heights from 1200mm - 390mm, Depths available from 450mm - 1200mm. Choose from galvanised steel or chipboard shelf panels, Shelf dividers to organise your stock. What are the Benefits of Longspan Shelving? Longspan shelving offers wide unrestricted shelf levels - ideal for the storage of heavy, large and awkwardly shaped items. The simple frame and beam system is easy to assemble and adjust as your needs change. Once the frames and beams are up, shelving materials simply drop into place and the system is ready to use! It's as simple as that. Versatile Industrial Storage: Do you require a versatile heavy duty storage system? Then longspan shelving is for you. Whether you are planning a simple low-rise shelving set-up or a large scale heavy duty storage facility, longspan fits the bill. The possibilities are limited only by your imagination! Fully Managed Refurbishment Projects: We provide personal consultations and a thorough service, working closely with our customers to suit your requirements. Our team of Project Managers will visit your premises, discuss your requirements and suggest possible solutions to you. Our range of storage systems can be suited to any building, purpose and budget. 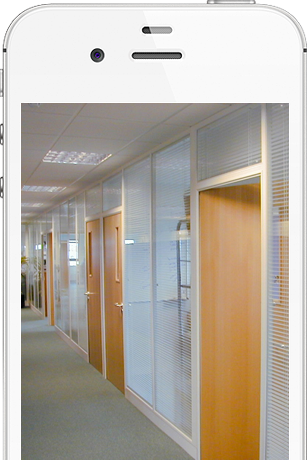 We can install the following: Single Steel Partitioning, Double Steel Partitioning, Mesh Partitioning, Suspended Ceilings, Office Partitioning, Fire Rated Panels. Is space an issue in your working environment? You may have the added distraction of a noisy environment. Stormor Systems can install partition walls to create offices in all surroundings. In addition to a mezzanine floor, the installation of partition ceiling tiles provide a complete seal above another room. Common uses include surgical rooms and cleanrooms. The installation experts at Stormor Systems will provide you with a site survey where they will take down all dimensions to give you a custom made partition system. Stormor Systems design and install cleanrooms that meet our client's needs. We use our experience and expertise to use appropriate materials for certain requirements be it for hi-tech pharmaceuticals, food industry or electrical component production. Stormor Systems will work closely with you to ensure interruptions to your business are kept to a minimum whilst we install your cleanroom. All designs carried out are to customer specification. 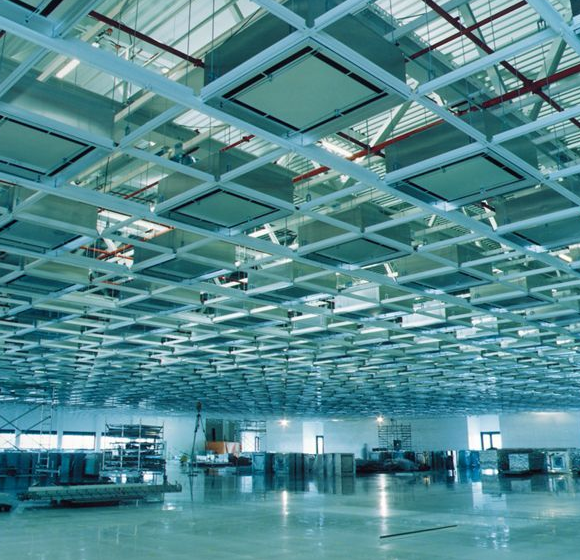 If filtered air is required in the cleanroom we will ensure appropriate air conditioning systems are installed, in addition to sealed doors and windows. We will also take into account the varying degrees of air pressure necessary.